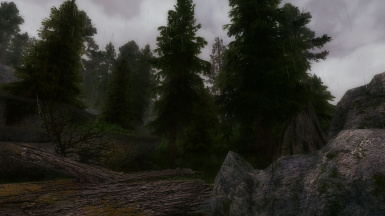 This is an all-in-one weather and audio patch that unites many widely-used ambience mods on the Nexus. 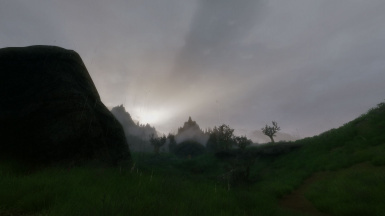 Vivid Weathers with Lightning during Thunder Storms, meet with Audio Overhaul for Skyrim 2 and Sounds of Skyrim. This is a patch, and contains no original assets created by myself, but do contain a huge number of edits made by others, as well as a rework of weather chances that I can claim as my own. That said, the original mods are the property of their respective authors and are credited in the description. As it is just a patch, I don't believe I can offer any permissions with regards to the contents. If you modify it, do it for your personal use only. 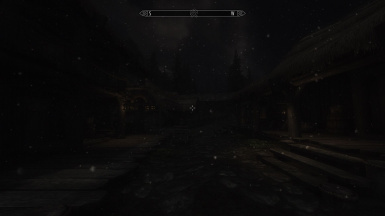 Restored the missing scripts folder that was causing issues with the integrated Sounds of Skyrim MCM menu. 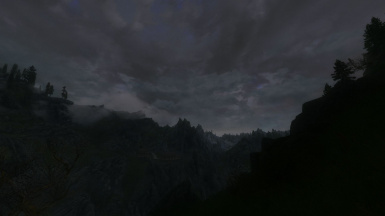 Climates of Tamriel sounds were removed from region entries. 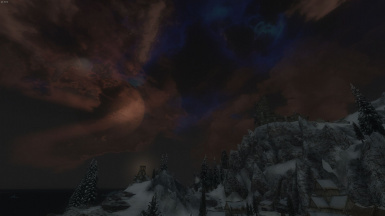 Climates of Tamriel - Sounds is no longer a master. Updated for changes made by AOS 2.5. Updated for adjustments made by keithinhanoi in the new AOS2-SOS patches. 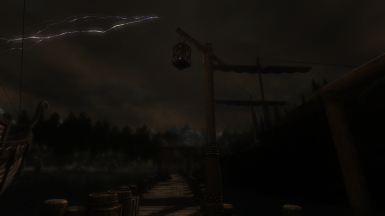 Updated patches for True Storms 1.5. Removed most COT fog weathers from True Storms patches due to a gross excess of thundering fogs (which is not a common occurrence). Installer is now fixed, and should work properly on NMM as well as MO. Fixed issues with worldspace records. Integrated Vividian's Windy Clouds and Extended Groundfogs. Integrated Supreme Storms support to allow True Storms to be used as a replacer; SS is still required for WAO to work properly if not using True Storms. Sounds of Skyrim levels and occurrence rates reworked. Minty's lightning is a bit more restricted. Lightning during snowstorms and fog weathers is less likely, and can no longer occur during ashstorms. Integrated Sounds of Skyrim MCM. New Lands have been reworked, WAO-style (integrated in lighting versions that require them, available via patch as well). All compatibility patches brought up-to-date. Vividian and SRLE-specific WAO editions are no more. The ELE/ELElite versions cover all relevant cells, so combo versions are no longer necessary. Carried over snowstorm changes made by AOS (to all snowstorms, including ESS). WAO-RN was also updated accordingly. WAO-BN is a new patch for users of Pure Weather - Brighter Nights. Not suggested for use with WAO-RLO/WAO-RN. Basic manual install instructions added to main file. Updated WAO and compatibility patches for AOS 2.2. Reworked acoustic spaces a little, carrying over a few missing sounds between AOS - SOS. Fixed broken ESS weathers in a couple versions; all weathers now have their stated occurrence rates. The FOMOD installer will now always properly install the BSA. Weather occurrence rates for all regions have been completely overhauled. An article detailing the exact occurrence rates will be posted in the near future. 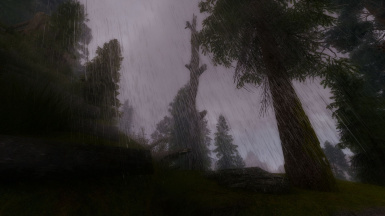 Pure Weather has displaced Real Rain, and PW's occurrence rates were accounted for in the region overhaul. Climates of Tamriel sounds are no longer configured to loop. Climates of Tamriel sounds have had their occurrence rates lowered drastically. WAO-RN is updated for the addition of Pure Weather. Various new patches created: Cutting Room Floor, Immersive Sounds and Realistic Water Two patches available individually or in combination. All files consolidated into a single FOMOD installer, with an option to install only patches. All problems with sounds looping improperly are no more. 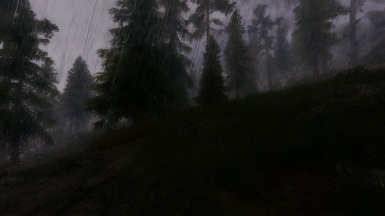 Fixed Real Rain imagespaces (again). This time they're the right ones. Adjusted Real Rain velocity. Need feedback. WAO-ELFX updated for ELFX 2.0. Removed ELFX-Enhancer content; moved to ELFX+. WAO-ELFX+ released. ELFX 2.0 + ELFX Enhancer compatible version. Reworked sound propagation for ambient marching sound. Lowered marching sound volume moar still. Lowered volume of ambient 'marching' sound in Solitude to (hopefully) appropriate levels. 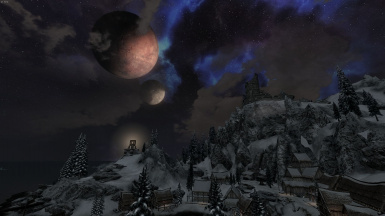 TwoHungLow's Consistent Stars for Climates of Tamriel has been fully integrated into all WAO versions and WAO-RN. 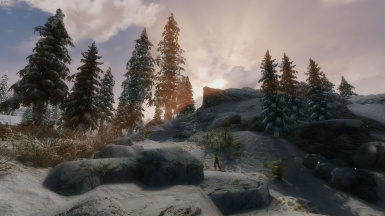 Climates of Tamriel - Sounds ambience loops have been removed from WAO. Many of them are either lower-quality or contain artifacts that detract from the clip quality anyhow. 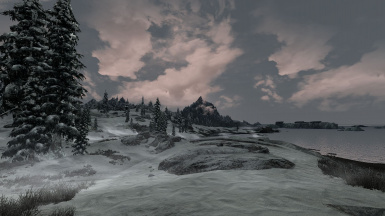 "Active" Climates of Tamriel sounds are retained, albeit at lower rates of occurrence than before. Ambient sounds overhauled. A number of unnecessary or overlapping ambience loops cleared out. AOS shines in WAO like never before. USKP fixes carried over. Expanded on cell overrides; WAO carries USKP location/region fixes even for cells containing no direct edits for enhanced compatibility. Adjusted Real Rain particle gravity. Reworked volume levels for Climates of Tamriel-added sounds. Renumbered unique formIDs in WAO for simplicity and consistency between versions. RN patch updated similarly. Reapplied missing weather adjustments to ESS weathers. 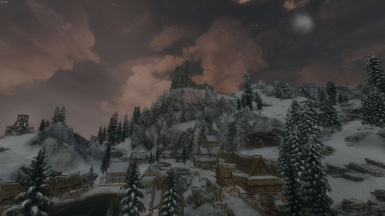 Restored a certain Dawnguard-added ambient sound to the Winterhold region. WAO - Immersive Sounds patch released. WAO - Realistic Nights patch (for RLO) released. Fixed propagation of sawing sound in Whiterun, hopefully it's less annoying now. Reworked the marching sound in Solitude a little, it should be a little more noticeable but not intrusive. Cleaned the mod of a number of unnecessary sound descriptors (expect an Immersive Sounds patch soon). Created a unique soundspace for the Temple of the Divines (formerly shared with Kynareth's temple). Fixed an issue with reverb type in the Temple of the Divines that was not answered by either AOS or SOS. 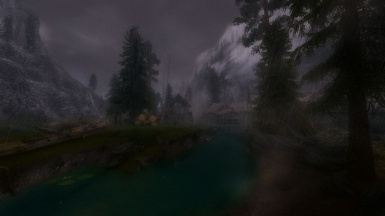 Reworked Real Rain weathers to use prod80's modified CoT imagespaces (day, dusk and dawn). 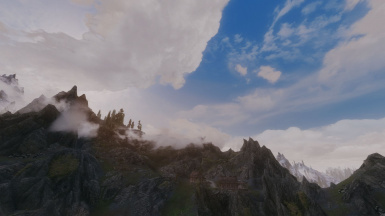 Fixed Tamriel worldspace missing Max Height Data from Dragonborn DLC. 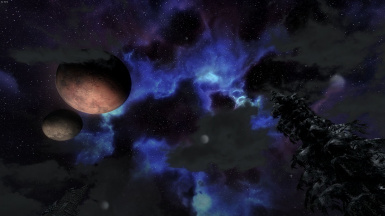 Integrated missing cell/worldspace edits from Sounds of Skyrim. Carried over missing USKP fixes on certain cell records. 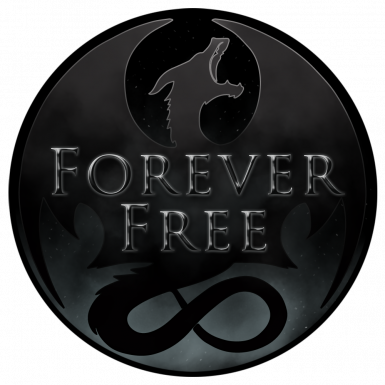 NOTE: This patch requires Dawnguard, Hearthfire, Dragonborn, USLEEP, and all other files mentioned in the requirements section. Have a good machine? Feel free to submit screenshots or make a video! My laptop doesn't at all show the mod's potential, but some of the user images attest to the weather side of things; it's really in sore need of a video review, so hopefully that happens soon. Where to begin? This is my first Skyrim mod. 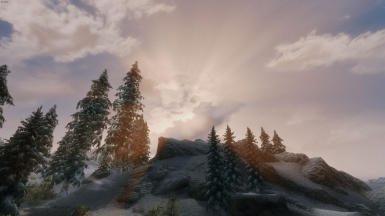 It began as a 'megapatch', resolving conflicts between a collection of the most-used weather and ambient sound mods on the Nexus. With time, though, it's become quite a bit more than just a patch. This is my Weather and Ambience Overhaul. 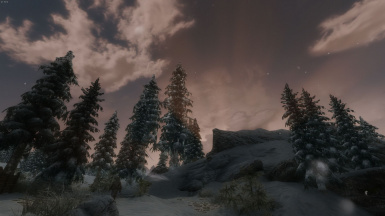 Weather and Ambience Overhaul is an all-in-one compatibility patch that aims to integrate a huge number of additional weathers and sounds to Skyrim, greatly enhancing weather variety and the general atmosphere of the game world. 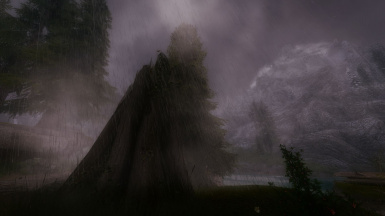 Vivid Weathers' are fully integrated with Minty's lightning to produce a powerful, and sometimes even intimidating weather system, while sounds from Audio Overhaul for Skyrim 2 and the Sounds of Skyrim mods come together beautifully to enhance the soundscape (without 'flooding' it)! All the shiny stuff aside though, the original purpose of this mod was to enhance compatibility and reduce plugin load. 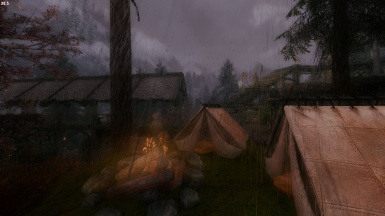 Weather and Ambience Overhaul resolves all of its masters with a single plugin, with separate lighting editions and a number of optional patches for compatibility with other mods, nearly all of which have merged options. The original plugin spared me thirteen .ESPs that had major conflicts, regardless of load order. Just in case that doesn't impress; at the time of writing this, the 'redundancy list' has more than tripled! Now that you have an idea of what we're working with, you may want more details. Not to fear, I'm (usually) excellent at detail. 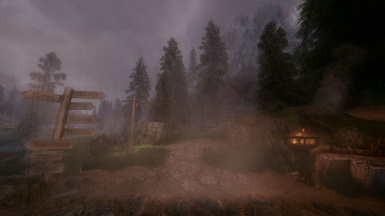 Weather data for ALL regions overhauled to utilize all of Vivid Weathers added weathers as much as possible, allowing better distribution and variety. 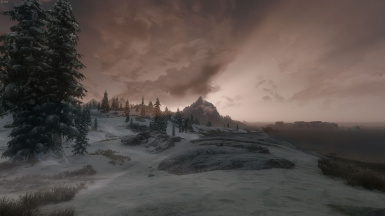 Falskaar and Wyrmstooth showcase this new weather system coast to coast, including reworks of the added weather regions from those mods. 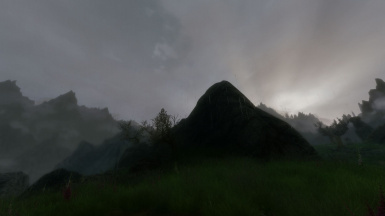 Sound occurrence rates for Sounds of Skyrim have been adjusted to avoid overwhelming the soundscape with added sounds. 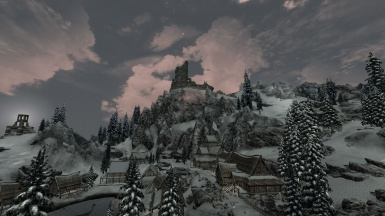 Sounds of Skyrim has been tweaked to bring it down to acceptable levels for AOS, which lowers apparent ambience volumes. 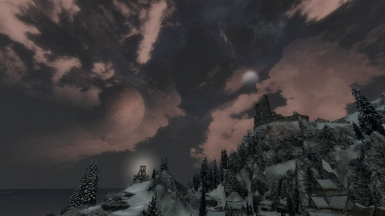 Sounds of Skyrim acoustic spaces are applied in WAO, and have been edited to account for changes made to their vanilla equivalents by AOS. The Sounds of Skyrim MCM has been integrated into WAO, so no popups need occur at new game start, and sounds are easily toggled as you play! Various additional compatibility options offered via patches, most of which have properly merged versions, and all of which are bundled in the installer! So now that you know what WAO does, it's time for a quick breakdown of the rest of this page. In the sections below, the details for the requirements, a thorough guide for installing the entire WAO setup, load order, and recommended MCM settings are provided. Next, you'll find the 'Redundancy List', which is a list of plugins you no longer need with WAO. This is followed by my recommended mods, and an equally thorough guide for installing WAO along with those mods. 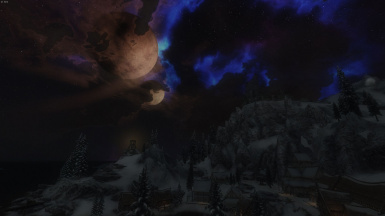 Last, but certainly not least, you'll find the credits, and a short list of other mods I would recommend that don't quite fit the 'atmosphere' theme emphasized here. Pay attention to the version listed, as these are masters for WAO (or are compatibility-relevant). WHEN UPDATING OR INSTALLING INTO AN EXISTING SAVE: WAO is totally safe to install, but weather changes require 24 hours to take effect. If things look strange, wait. If using lighting mods, don't select dungeons or interiors options. Don't select night level options. Install Audio Overhaul for Skyrim 2. Select Skyrim + DG + DB. Don't select a weather mod patch. Install Sounds of Skyrim - The Wilds. Install Sounds of Skyrim - The Dungeons. Install Sounds of Skyrim - Civilization. 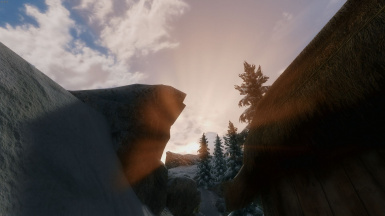 Install Vivid Weathers but dont select Falskaar or Wyrmstooth patches as they are fully integrated. Install Lightning during Thunder Storms. Don't install the CoT edition; it isn't necessary. Install this patch. The all-in-one package will guide you through the process, but the steps are detailed below as well. A manual install guide is also in the archive. I recommend using LOOT as a starting point. You may need to arrange some metadata or even do a bit of manual sorting to get things just right. Below, I have a reference load order for the required files. I highly recommend loading WAO very near the bottom of your load order; in fact, I suggest loading it after any mod that contains cell edits, as WAO carries a lot of cell data to ensure that audio and lighting changes take effect. This includes lighting mods and anything else that makes changes in the world. For reference, here is the related load order that I would use, personally (if my laptop wasn't a laptop). This is the order the masters are sorted in, but isn't explicitly required. That said, if you're experiencing CTDs, you're missing one of these files, most likely. Simply put; load your weather stuff in that order for best results. Load WAO near the end of your load order, followed by WAO patches. Make sure they aren't active in your load order. Please note, again, that the original mods are the property of their respective authors and this is only a patch. You must use the listed requirements and my patch does not contain all the contents of any of the originals. Suggested MCM settings for related mods. Set Frequency of both lightning types to 50. WAO is not compatible with other weather mods; this includes RLO, ELE or Vividian weather modules; it is meant to replace them. For other mods..
All of the original works are required and listed as masters. I did not make any of them, I only made WAO, so all credit for the original content goes to the authors thereof. I'd like to thank the following people for creating these (absolutely amazing) things for me to incorporate. Without them, none of this would be possible. I'd like to thank, as well, all of the modders who created the awesome mods recommend for WAO's "Extended install", and the people who've helped me test the mod at various points throughout its development, most notably Teabag86, who was the sole beta tester for WAO 2.0. Finally, I'd like to recognize all of those who contributed to version 3.0; and Hishutup for making us one awesome installer! Thanks for checking out my little Megapatch (as oxymoronic as that sounds). If you like WAO and decide to endorse it, you should consider endorsing the original mods too (it might seem a little silly not to). 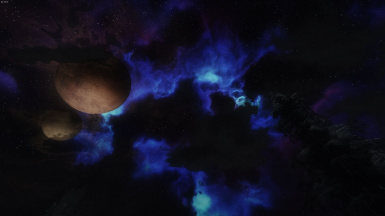 Also, if you enjoy a survival playthrough (and happen to use Requiem), feel free to check out my second project, known as the [url=http://www.nexusmods.com/skyrim/mods/56275/? ]Requiem Survival Experience. While you're here, these are some other mods I would definitely recommend with WAO, that are a little less aesthetic in nature.